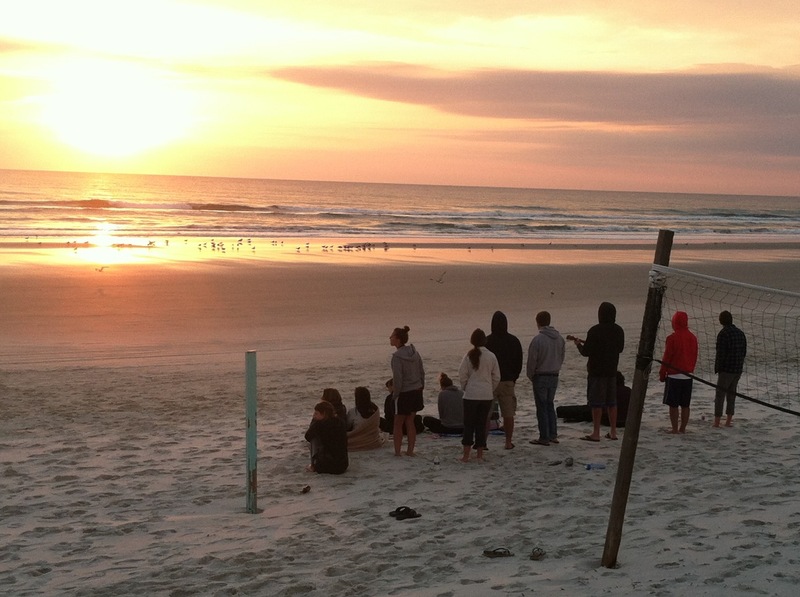 It’s Easter….and as we watch the sunrise, we are reminded that this is the day and the reason that brought us to Daytona. The opportunity and privilege of telling the people of Daytona that the world, while dark, is not hopeless. That the Son has risen. And with Him, hope and redemption has come. As we pack up our three white vans and begin the long journey home, we leave behind some good friends along with some new brothers and sisters. We take with us a reminder that in the darkness, Christ love shines brightest. Pray with us that those who have come to know the savior will find fellowship and opportunities for discipleship. For those who are considering the message, they will not be able to rest until they make the decision to call out to the Lord. Remember our beautiful friends at Ocean View…and the homeless we’ve come to know and love. For protection, peace and the knowledge that they are loved and not forgotten by God. We will try to do one more post with more specific prayer requests that you (and we) can remember.